Adaptec, Inc. provides trusted storage solutions that reliably move, manage, and protect critical data and digital content. Adaptec’s software and hardware-based solutions are delivered through leading channel partners and Original Equipment Manufacturers (OEMs) to provide storage connectivity, data protection, and networked storage to enterprises, government organizations, medium and small businesses worldwide. More information is available at http://www.adaptec.com. Overland Storage is a market leader and innovative provider of smart, affordable data protection appliances that help midrange and distributed enterprises ensure business-critical data is constantly protected, readily available and always there. Overland’s award-winning products include NEO SERIES® and ARCvault™ tape libraries, REO SERIES® disk-based appliances with Virtual Tape Library (VTL) capabilities, ULTAMUS® RAID SAN-based appliances and Snap Server NAS-based appliances. Overland sells its products through leading OEMs, commercial distributors, storage integrators and value-added resellers. For more information, visit Overland’s web site at www.overlandstorage.com. The relationship with Adaptec spans multiple years and covers a range of strategic activities. 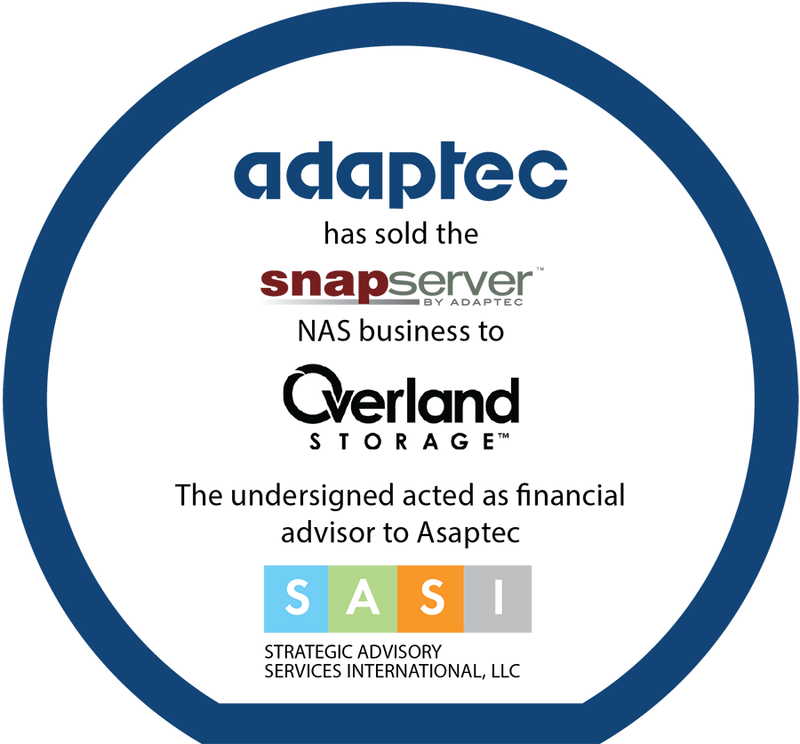 SASI was uniquely positioned to add value due to our deep knowledge of the NAS market and the Snap Server NAS business. SASI drove the process from identification and selection of potential strategic acquirers through negotiations and critical deal points in the purchase agreement. Keys to success included understanding and articulating the core assets of the Snap Server NAS Business and how it could be leveraged by potential acquirers.